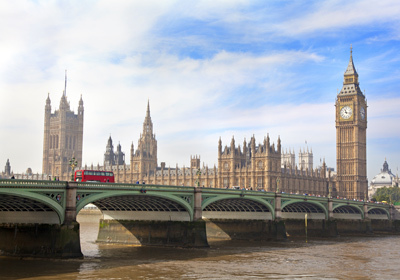 Brimming with art, food, history and culture, London offers something for everyone. Dotted with museums and art galleries, many of them free, London offers endless indoor escapes. Its beautiful gardens and stately squares will lure visitors outside on sunny days. Explore London's colorful neighborhoods and markets. The city's rich theater and restaurant scenes will keep you going into the evening. London is at the forefront of global cuisine. Of course it is still known for its authentic pub experience, and no one does fish n’ chips and a cold pint quite like the Brits. Stay in a vacation rental apartment in a central London or in a quaint, residential neighborhood with easy access by tube to the heart of the city. Sights to See: The British Museum, Hyde Park, Brick Lane Market, the Globe Theatre, Buckingham Palace, the Victoria and Albert Museum, Harrods, the National Gallery, Big Ben and many others! Sightseeing: Visit the British Museum, the National Gallery, Hyde Park and Kensington Gardens. Tour the Tower of London. Don't miss Big Ben, the Globe Theatre, Buckingham Palace, Harrods, and St. Paul’s Cathedral. Explore the Victoria and Albert Museum. Enjoy Kew Gardens. See the Churchill War Rooms. Check out the excellent shopping on Oxford Street or in Covent Garden. Explore London's vibrant neighborhoods. Take in some theater. Off-the-beaten-track attractions that can’t be beat: Find a pub far from tourist attractions and talk with the locals over a pint. Discover lesser known sights like the Foundling Museum, Kyoto Garden, and the Charles Dickens Museum. Enjoy homemade food at the many food trucks on Brick Lane. Tour Foster’s Brewery. Enjoy a game of cricket on the Richmond Green.